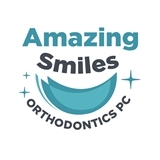 Amazing Smiles Orthodontics PC (Forest Hills) - Book Appointment Online! The wait time didn't bother me. He saw all 3 of my boys and was very helpful and professional. Everyone was polite and professional and they made my children and myself feel comfortable.